Anna Syrois was probably born 20 years too soon. As a student and athlete at Wooster High, she participated in the intramural sports program, the only one open to girls at that time. Interscholastic sports were played then, but it was different than it is today. The teams playing would exchange players so that a “fair and equitable” contest could be held. At Wooster College, Syrois again played in the intramural program. She also participated in intercollegiate games, with rules similar to those of high school. Although no records to those games were kept, Syrois attracted sufficient attention to be awarded honorary “W” Association status during her senior year. Anna majored in physical education and sociology at Wooster and later did graduate work in guidance counseling at Akron University. Syrois chose teaching as a profession after college and has been at Norwayne High School since. 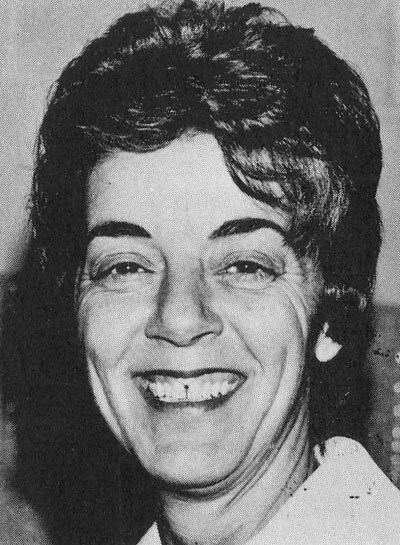 In 1954 she started a girls’ basketball program at Norwayne, coaching both the varsity and junior varsity teams. As a coach Syrois compiled a tremendous record. It was not until the last game of the fifth year in which she coached that one of her teams suffered its first loss after a string of 23 wins. Her next loss came three years later after 14 straight victories, and it was another four and one-half years (and 26 wins) until her third setback. In 14 seasons, Syrois posted a 27-2 reserve mark and a 69-3 varsity slate. Those five losses were by a total of just 15 points. Given the current playoff arrangement in girls’ athletics, there surely would have been some state championship team during her career. Syrois also coached volleyball at Norwayne in 1976 and 1977, where she took the team to the regional finals once.